God is Holy and has a "Zero Tolerance Policy" for sin in Heaven. This means that, by His grace, I need to be made holy before I can enter fully into His Presence in Heaven (thank God for His Mercy each time in Confession, and for Purgatory in case we fall short on earth!). Jesus calls us to have a righteousness that surpasses that of the Pharisees whose whole religious observance was an empty outward show - He calls us to true conversion of heart and mind so that we may follow Him in freedom and love. How often do I make big decisions in haste that I later come to regret? In a brief instant, I can choose Jesus Christ and His Kingship of Love, renewing my love for Him with a tiny prayer or act of my will, entrusting all to Him; or I can waste His precious gift of time in fruitless diversions or even serious sins with lasting consequences. God loves us so much that He created us with free will! "A time to love, and a time to hate; a time for war, and a time for peace" (Ecclesiastes 3:8) (RSV). Let us show our love for Christ this Lent by firmly resisting and courageously overcoming every sin, evil, deception, activity, and thought in or near ourselves that does not glorify Him or love our neighbor. 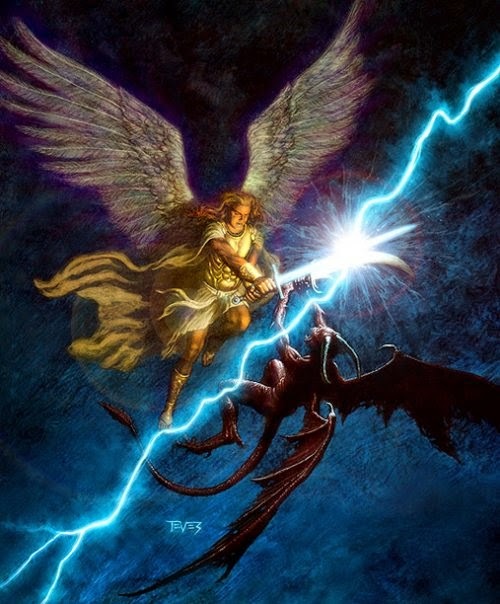 Let's fight and win the REAL WAR against Satan and against sin in our *own* souls; we don't fight alone, but in union with Christ & His Immaculate Mother...in the Victorious Name of *JESUS*! Only then will we have PEACE with others and in the world. Yes - we may even have to *put to death* selfish or evil plans, thoughts, ideas and grudges, and attachments to past hurts, present doubts or future fears. This takes real sacrifice, but the "payoff" is truly everlasting...God bless you, and know of the Friars' prayers for you - and please pray for us, too.